New York: Thomas Y. Crowell Co, 1942. First Edition, First Printing. Hardcover. Near Fine/Very Good. 6 1/8 X 9 1/4 Inches. 154 PP. An exceptional first edition copy of Gann's third book in the scarce original wrapper. Original price of $2.00 intact on front flap of DJ. 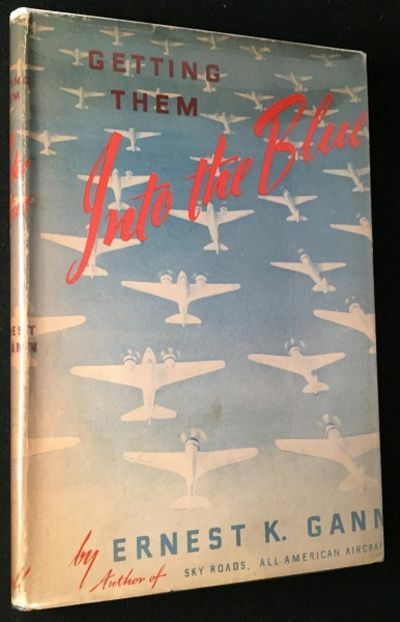 Original publisher blue cloth with red title and stamping to front cover and spine. An early book, intended for younger readers at the height of WWII, from the author of Fate is the Hunter. DJ exhibits slight wear at edges, especially at folds and head of spine. A very nice copy overall.